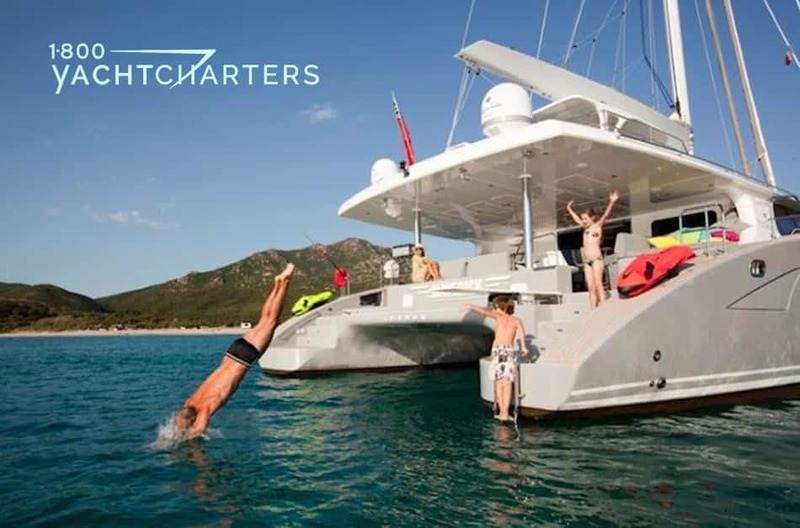 Archive by category "Good Times"
With industry experts predicting the continued growth of the yacht charter market in 2016, retail charter brokers are anxious to identify new and exciting destinations and opportunities for their clients. With the help of yacht maven Jana Sheeder, President of 1-800 Yacht Charters, we take a look at two unique 2016 yachting vacations that could be spring’s most epic getaways. 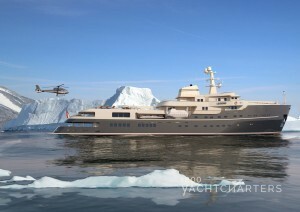 All the more reason a combination ski trip and yachting holiday is about as unique as it gets, as one of the world’s largest yachts for hire will be offering heli-skiing charters along the coast of the world’s largest island! The 254 foot ice-breaking Icon motor yacht LEGEND is offering adventure charters in Greenland, from April through June, 2016. 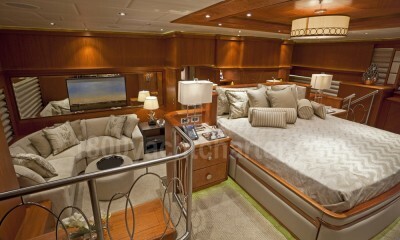 She features guest accommodations for 26 passengers – perfect for private groups and large families. Glaciers and icebergs make Greenland a unique destination. The alpine ranges south of the Arctic Circle in western Greenland are known for coastal heli-skiing on peaks up to 6500 feet (2,000 meters) and skiers can glide almost to the edge where the glaciers meet the sea. 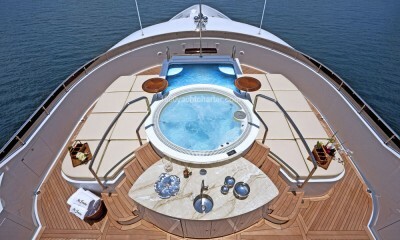 Onboard amenities include a cinema room, Balinese-style spa, gymnasium, and on-deck Jacuzzi large enough for 16 people. 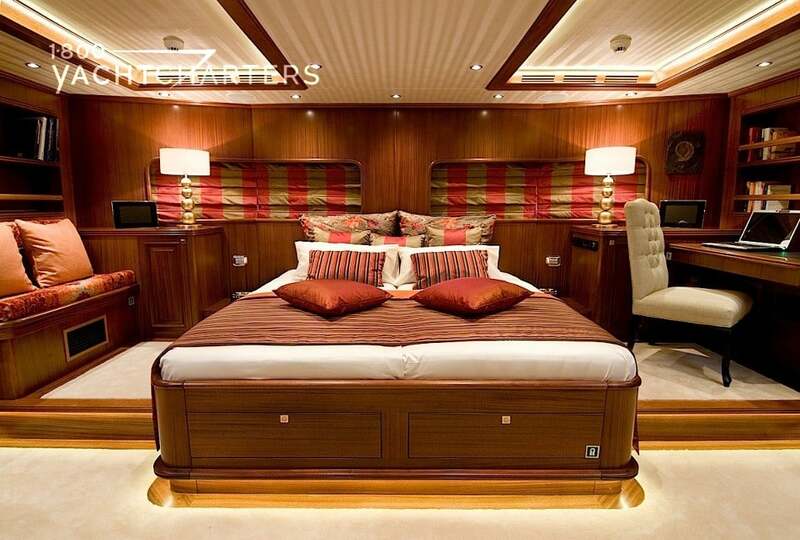 Rates begin at €75900 per day with a 5 day minimum reservation required. If skiing and polar exploration is not your thing, an exotic warm-weather escape might be more appealing, especially when you throw in one of the world’s greatest natural spectacles. 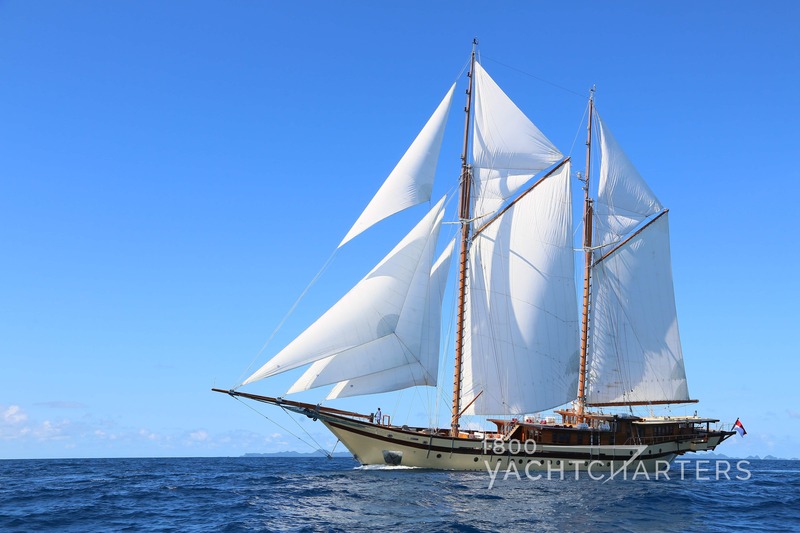 The world’s largest wooden sailing yacht is offering a rare opportunity to witness a celestial event in an environmentally vibrant, and culturally rich corner of our world. Sail yacht LAMIMA is offering a 10-day adventure cruising the waters of Raja Ampat, Indonesia where on March 9, 2016 at 8:58am all onboard will witness a full solar eclipse. Indonesia offers diverse wildlife and world’s best snorkeling and diving sites. 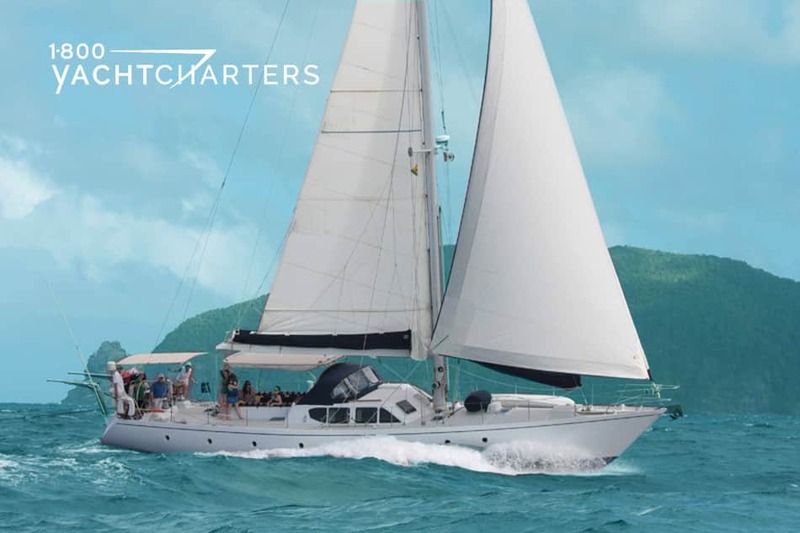 Sailing yacht LAMIMA has an extensive watersports inventory including kayaks, paddleboard, and a full inventory of SCUBA gear for both Padi and Nitrox certified divers. The crew includes a spa therapist and a local tour guide. The ALL-INCLUSIVE 10-night charter rate for the solar eclipse excursion is $200,000 for up to 14 guests. If you can’t make it for the big celestial event, the regular weekly rate is $140,000 and can be pro-rated for trips as short as 5 days. 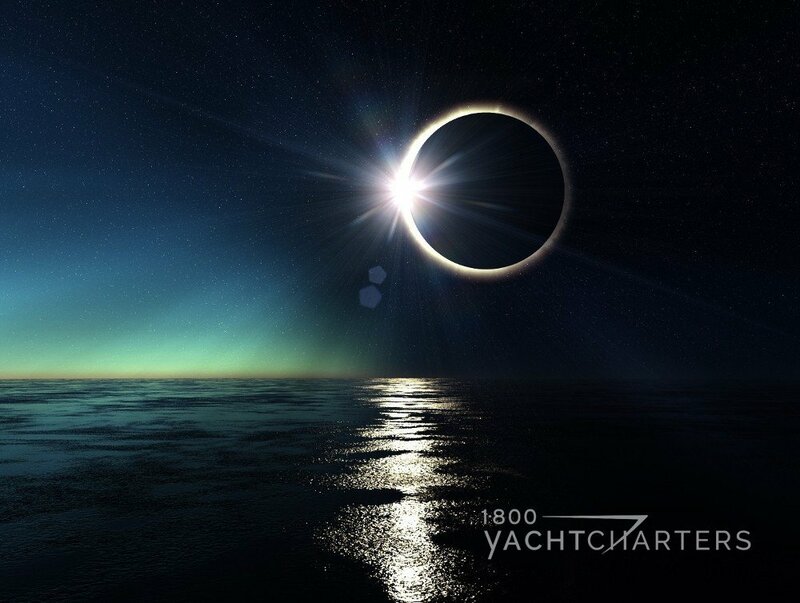 Which destination would you consider for an epic yacht charter? Comment below, and we’ll send you an Eco-Tote to help you save the earth with us! We had a opportunity to chat with Captain Glynn Smith onboard the Trinity yacht charter vessel, motor yacht MI SUENO recently. 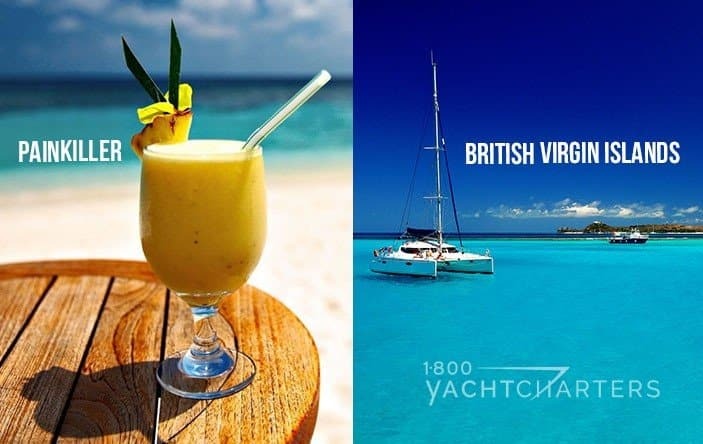 We organized a year-end Caribbean yacht charter for a repeat customer and needed to review itinerary ideas, etc. 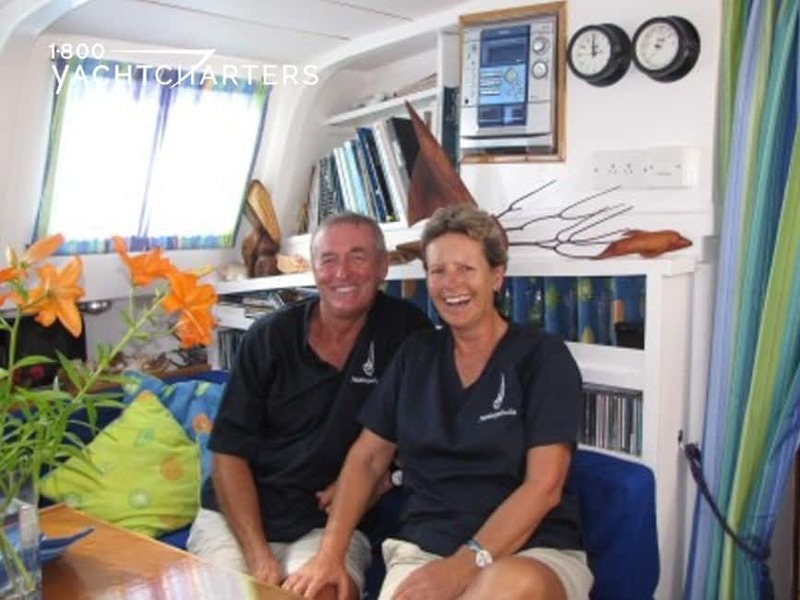 It’s always a pleasure to work with a real “Can-Do” skipper – the type of professional who never says “No” to a client. Glynn truly understands the value of top-notch customer service, and it shows in his enthusiasm. 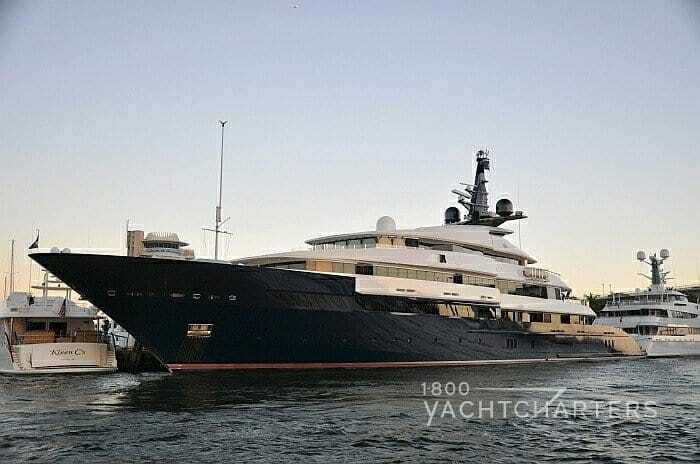 Built in the USA in 2010 by Trinity Yachts, the 190 foot luxury motor yacht MI SUENO is a standout superyacht in every respect. Her amenities include WiFi and Kaleidescape central movie/music server throughout. She’s also equipped with a 2-person, wheelchair-accessible elevator (to 3 levels). Conversation areas abound on all levels – both inside and on deck. The sophisticated, contemporary interior designed by Patrick Knowles is a tasteful mix of textures, fine art, and neutral colors in furniture, fabric, carpeting, and stonework. The formal dining area is nothing short of stunning – with a table that seats 14 comfortably. A full-width split-level Master Suite with King bed is situated forward on the main deck and features a private study, lounge, and his/hers bathrooms. Five additional ensuite staterooms below include a full-width VIP King suite, 2 matching King staterooms, a wheelchair-accessible Queen stateroom, and a Twin stateroom (with additional Pullman berth). Trinity yacht MI SUENO offers three exterior living areas – all spacious and inviting – with beautiful teak furniture on all levels. 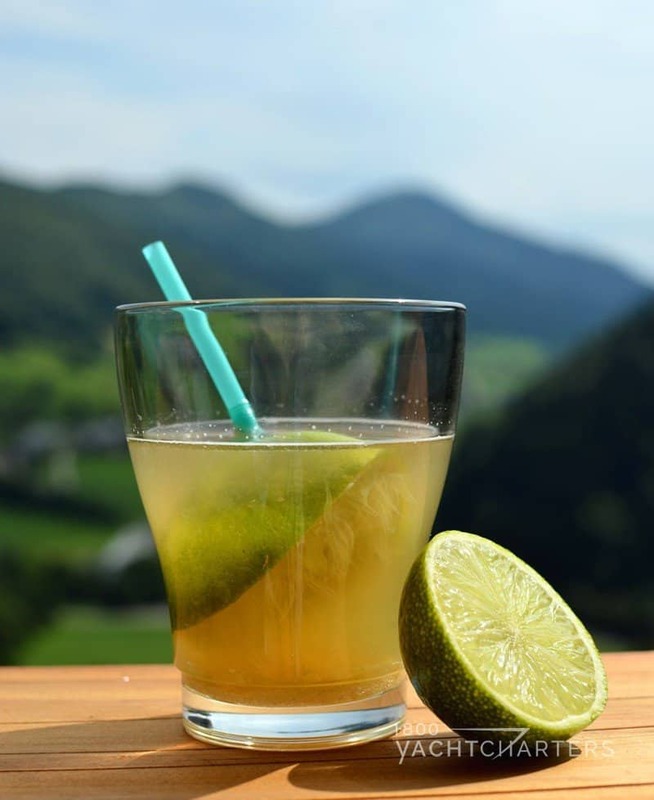 Active guests may head on up to the sundeck for a vigorous workout on the elliptical trainer. Sore muscles can be soothed in the ondeck Jacuzzi, followed by a dip in the splash pool. 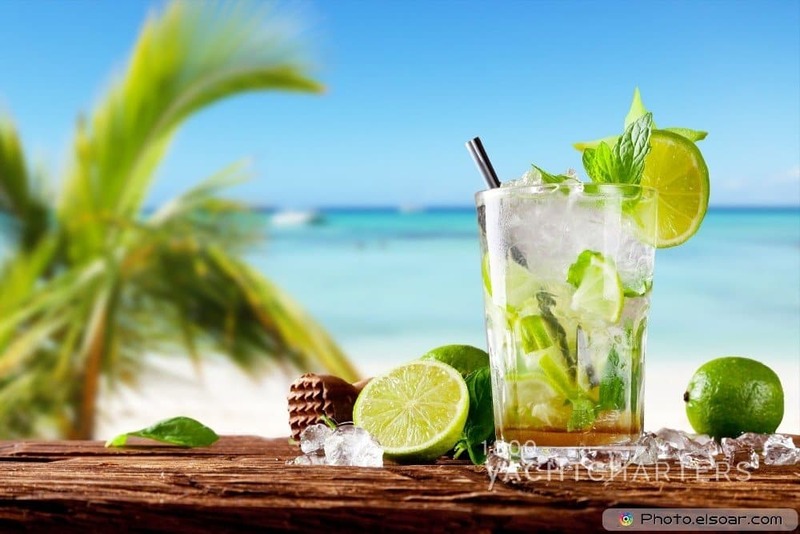 As the sun sets, who wouldn’t enjoy cocktails and al fresco dining on the aft deck of the Skylounge?? For in-water fun in the sun, yacht MI SUENO is also jam-packed with an extensive inventory of watertoys. 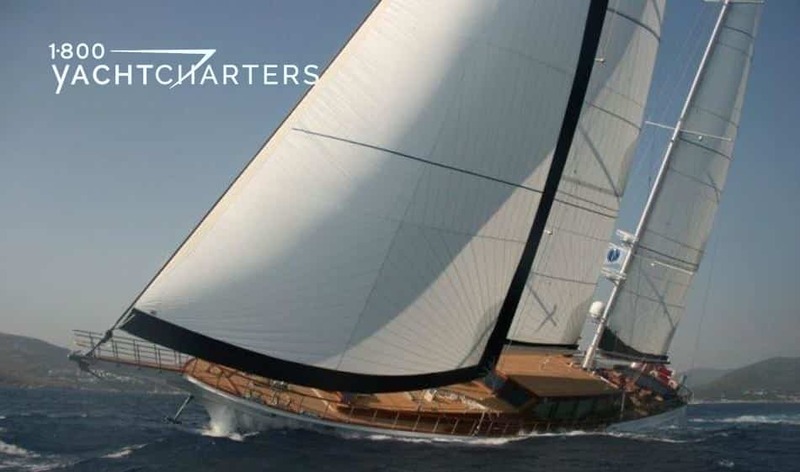 MI SUENO’s charter rates begin at €280,000 EUROS per week. 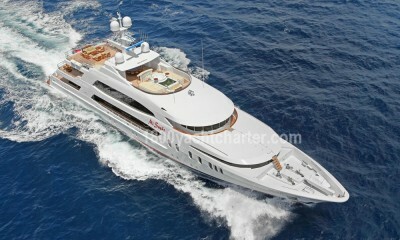 We would love to charter her to you for the vacation of a lifetime! Give us a call or email!